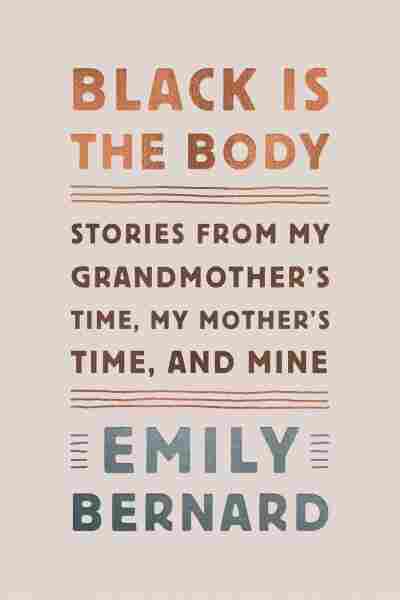 You'll Find 12 Fresh And Unforgettable Essays In 'Black Is The Body' Emily Bernard was recovering from a knife attack — a "bizarre act of violence" — when she decided to write a book of essays rooted, autobiographically, in the blackness of her own body. Before I talk about individual essays in Emily Bernard's new book, Black Is the Body, I want to pay it an all-inclusive tribute. Even the best essay collections routinely contain some filler, but of the 12 essays here, there's not one that even comes close to being forgettable. Bernard's language is fresh, poetically compact and often witty. She writes about growing up black in the South and living black as an adult in the snow globe state of Vermont. She considers subjects that hit close to the bone like the loving complications of her own interracial marriage and adopting her two daughters from Ethiopia. In her introduction, Bernard tells us that this book "was conceived in a hospital ... [where I] was recovering from surgery on my lower bowel, which had been damaged in a stabbing" — a "bizarre act of violence" that helped "set me free" as a storyteller. That's a literary origin tale you don't hear every day, but shock value is the least of the reasons why Bernard shares it with us. Instead, the visceral reality of her scarred, winding intestines becomes an implicit metaphor for the kind of writing she hopes to achieve: contradictory, messy and very personal. to contribute something to the American racial drama besides the enduring narrative of black innocence and white guilt. ... [There] are other true stories I needed to explore. ... The only way I knew how to do this was by letting the blood flow, and following the trail of my own ambivalence. Emily Bernard is a professor of English at the University of Vermont. Her new memoir is Black Is the Body: Stories from My Grandmother's Time, My Mother's Time, and Mine. In a collection full of standouts, one of the best is an essay called "Teaching The N-Word," in which Bernard ushers us into her African-American autobiography class at the University of Vermont. All of her 11 students are white. The expected way this essay would unfold would be for Bernard to poke gentle fun at these liberal white students, whose refusal to say the "n-word," doesn't absolve them from their own unconscious racism. Tie all this up with an in-class epiphany and you've got yourself a nice essay. But Bernard has been through that life-altering knife attack; she doesn't do what's expected. Instead, much of this confessional essay focuses on Bernard's own moments of self-deception as a black professor at an overwhelmingly white university. For instance, she says she instructs her students in her African-American studies classes, "not to confuse my body with the body of the book." 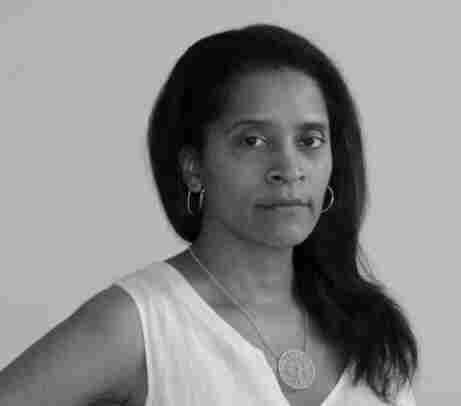 In part, she's inviting her white students to have the intellectual courage to criticize novels like Their Eyes Were Watching God and Invisible Man even though she, their professor, is black. Bernard also tells her (again, mostly white) students that, "This material is not the exclusive property of students of color. ... This is American literature, American experience, after all." But, to us readers Bernard admits feeling claims to this literature that are less democratic: "Sometimes I give this part of my lecture, but not always. Sometimes I give it and then regret it later." John was not ignorant of the root of my father's anxiety. But the danger presented by the flat tire took precedence over any other type of danger. Somewhere between the clarity of [John's] focus and the complexity of my father's anxiety, perhaps, lies the difference between living white and living black in America. ... I see the difference. Mostly I despise it. But my belief that difference can engender pleasure as well as pain made it possible for me to marry a white man. Those are words capable of sparking one of those halting discussions about race that Bernard conducts in her classrooms. 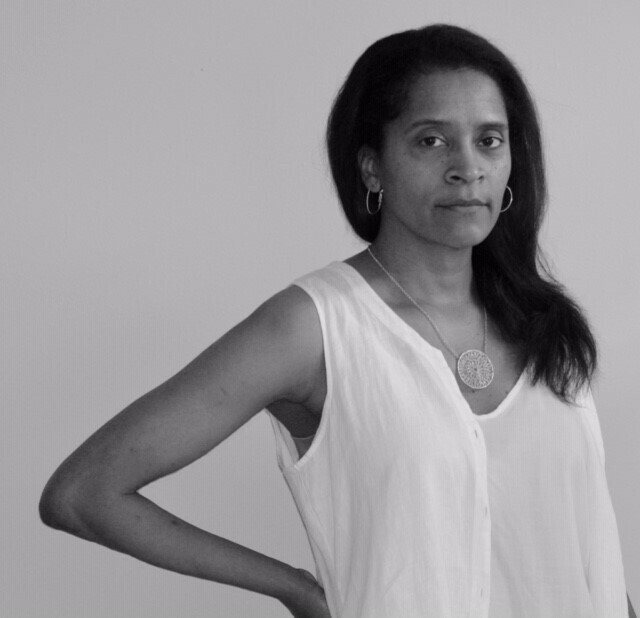 In Black Is the Body, Bernard proves herself to be a revelatory storyteller of race in America who can hold her own with some of those great writers she teaches.